This is an adaptation of the PSU that uses a 7805 and can supply higher current. You need to use an appropriate heatsink for the 2N3055 transistor, you could also use a TIP3055, using a 2N3055 you can get roughly 10 amps. This transistor in the circuit below simply allows the current to flow through the collector emitter leads. 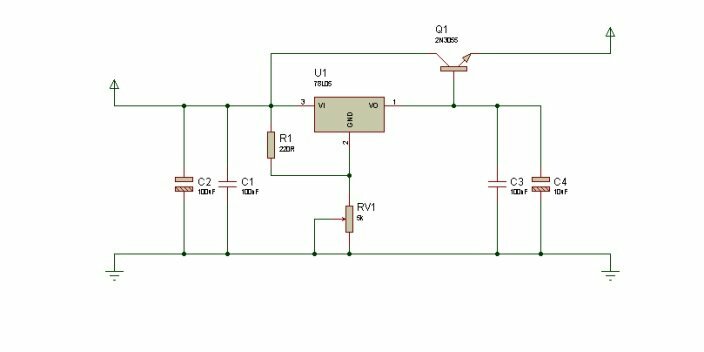 The output voltage is maintained by the 7805 regulator but the current flows through the “pass transistor”. You can actually use a 78L05 to supply the 5v output as the transistor supplies the current.